Minecraft has no story or dialogue so students have to use their imagination. Minecraft can take storytelling one step further by immersing students in the story. Students can create scenes or settings based on their favourite story or take on the role of the main characters and act out scenes in Minecraft. 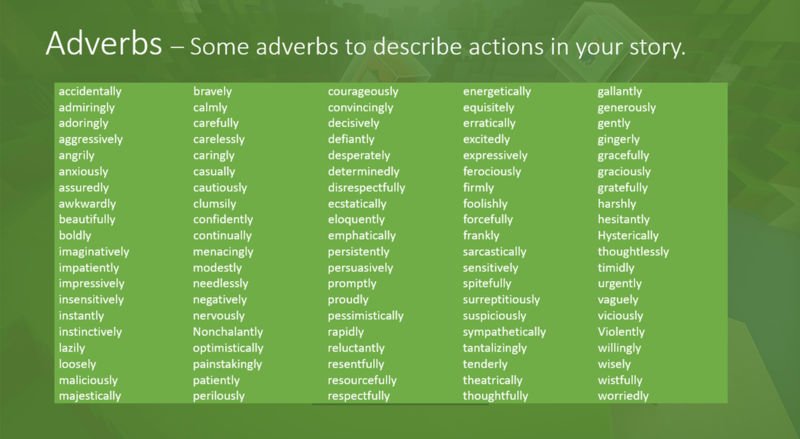 Add some 'gamification' to the lesson by awarding points for each word depending on the complexity, for example: 3 points for the word 'Dark and 5 points for the word 'Ominous'. Students are then awarded points depending on the complexity of the language used in their stories. 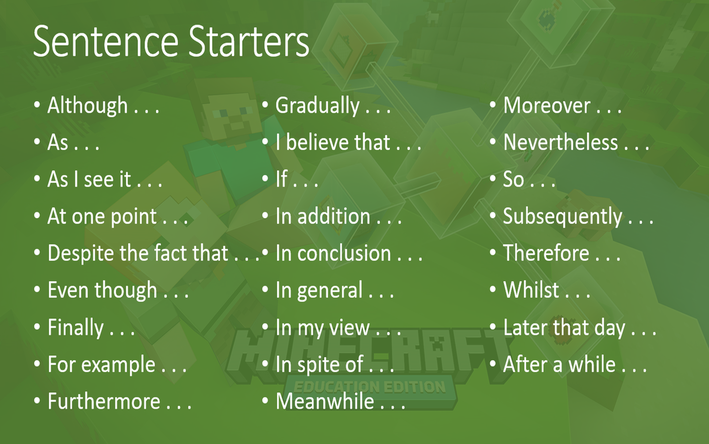 Minecraft is a perfect platform for encouraging students to develop their problem solving skills and demonstrate their creativity however, it is also a great platform for developing instructional writing. Ask students to build a basic structure or red stone contraption and write down a set of step-by-step instructions so that others can re-create their construction. 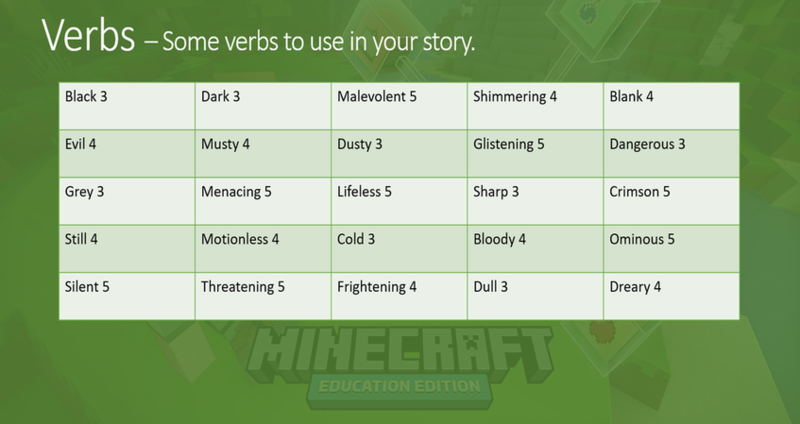 Selection of sentence starters, verbs, adverbs, prepositions, imperative verbs and time connectives to use in your Minecraft stories.